New players & members are always welcome at the club. At Bracknell Rugby Club we aim to be a successful community club offering rugby, at all levels, for all. We always welcome new players and members to join us with or without any experience in playing rugby, whatever your age, skill or fitness. We have excellent rugby facilities comprising four full size pitches including floodlit training areas, modern gym including an Outdoor Training Space in partnership with FW Urban Gyms, recently upgraded changing rooms together with fully qualified coaches and sports therapists. Our clubhouse and bar offers a vibrant social scene which members and players can enjoy. Interested in playing for Bracknell Rugby Club? Please browse our website to find out about BRFC - info on the club can be found by clicking here or for info about each team click on the applicable team link below. Alternately just turn up to a training session! We are a very friendly and welcoming club so please come along and enjoy your rugby! We look forward to you joining us! We have 5 senior men’s teams 1st XV, 2nd XV (Stags), 3rd XV, 4th XV, Veterans XV (Bulls), 2 Academy teams (U17 & U18), plus a Ladies team. Training sessions and home games are held at Lily Hill for both Seniors and Academy Teams. Training for Mens Senior & Academy sides takes place on a Tuesday and Thursday evenings during the season, while the Ladies train on a Wednesday evening and play or train Sunday afternoon. Contact details and more info for each team can be found in the 'Team Information' section within each teampage below. 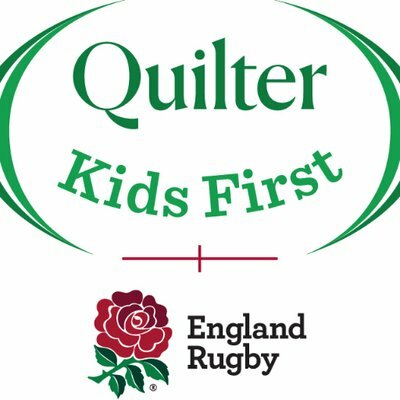 Bracknell Rugby Club has thriving junior and mini sections catering for all ages from under 6 to under 16. Players may then progress to the Academy team at the age of under 17. The Mini's start from the under 6 age group and run through to under 12's. During this time we coach and teach boys & girls (up to under 11's) the skills and ethos of rugby, starting with tag rugby up to under 8. After under 8's we then slowly introduce the contact game inline with RFU guidelines. Juniors start at under 13 age group and run through to under 16 age group. The boys compete at festivals and league competitions as well as games against other local teams and teams from a little further afield. The coaching is focused on the RFU guidelines with more emphasis on positional skills & knowledge of the game. Staring September 2018, BRFC are setting up an U13 (Year 8) Girls age group team - For more information and to register your interest please email: girls@bracknellrugbyclub.com or click on link below. Training sessions and home games are normally held at Lily Hill on Sundays for the Minis and Juniors and on Wednesday evenings for the Juniors only. Find out more about each team by clicking the applicable teampage link below. Contact details for each team can be found in the 'Team Information' section within each teampage. Not sure what to do next or need more information? Then email miniandjunior@bracknellrugbyclub.com for more details. Other than a few paid roles the club is run entirely by volunteers. The volunteers of the club do everything from picking up litter, gardening, painting & decorating, cleaning or help organise and run key social and fundraising events. To help, by volunteering at BRFC then please click here. Details of membership fees for Senior, Academy, Juniors and Minis plus social non-playing categories can be found by clicking here.